As a way to say thank you to my uncle, auntie and cousins for their kind and awesome hospitality. The hubs and I decided to cook dinner for everyone. There were 11 of us that night and needless-to-say I was quite worried with how the menu would turn out. Mum was super worried that there won’t be enough food. But of course, there was always WAY too much! 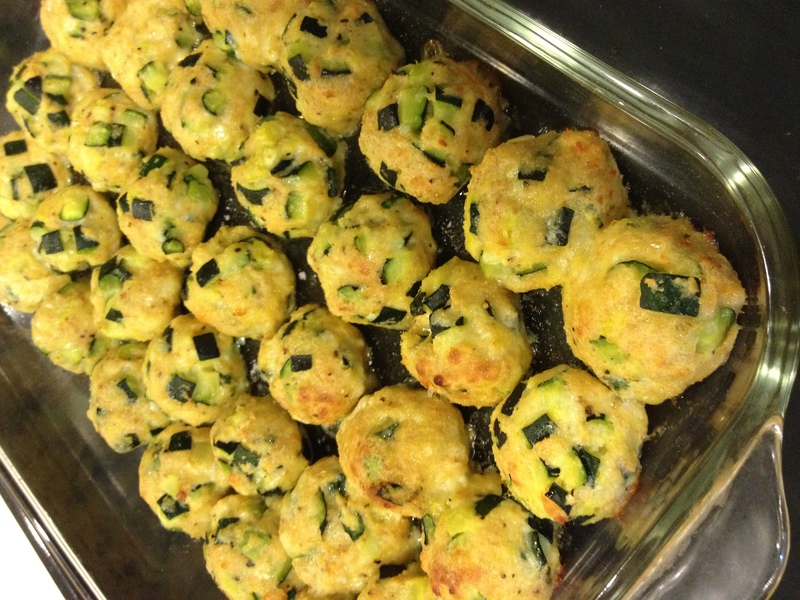 We were quite daring to try one of the recipes that we saw on a cooking show at Paihia a couple of days before the scheduled dinner – courgette polpette. 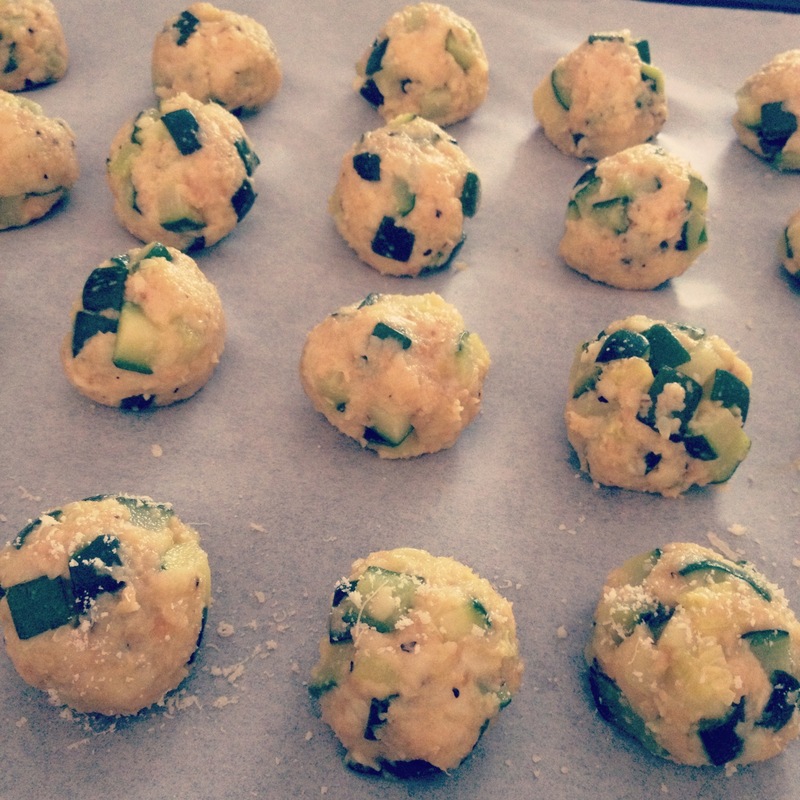 Simply put, cheesy courgette balls! haha As funny as that sounds, it tasted surprisingly good! 1. Preheat oven to 200ºC and line a baking tray with baking paper. 2. Heat the olive oil in a large frying pan over a medium-high heat and fry the courgettes for about 10 minutes, until tender and golden. Set aside to cool it a little. 3. Combine with all the other ingredients to make a thick, sticky mixture. Season with black pepper. 4. Take a heap teaspoon of the mixture and roll them into balls. Place on the baking sheet and bake for about 15 mins or until it starts to brown. Serve them warm or cold. With bread or with salad. ENJOY! Nothing says thank you better than a meal made with love :). You’re absolutely right! There is no better way to say thank you than a meal made with our hearts! (: haha it’s alright babe! I also call it zucchini! I think it’s a english thing hehe 😀 Do try it and let me know what u think! These look lovely! And ahhaah Just like Ames i had to GOOGLE Courgettes gosh i feel ignorant! I seriously thought it some type of bread hehe but looks yummy! That looks so delicious! Like little vege meat balls. 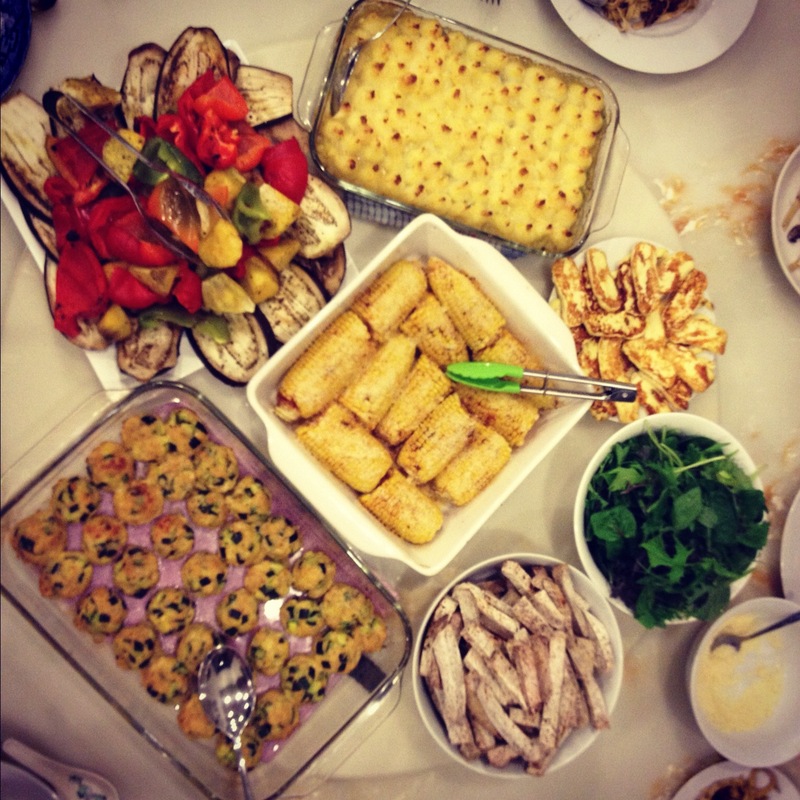 We always make way too much food for family dinners too! It’s only called a party when there is heaps of food aye? Hehe my fav kind of family party! Hi Liannelow, thanks so much for this recipe. I tried it a few days ago and ever since try to remember to thank you for it. It’s totally delicious, like a million calories, which it doesn’t have. And easier to make than I thought! This will definitely go into my best-recipe-collection.